Apple last night added a new webpage focusing on the enterprise features offered in iOS 7, covering everything from configuration to data security. Apple dominates the enterprise market according to a report last year revealing that iOS last year accounted for 74 percent of business smartphone activations and a staggering 97 percent of business tablet activations. 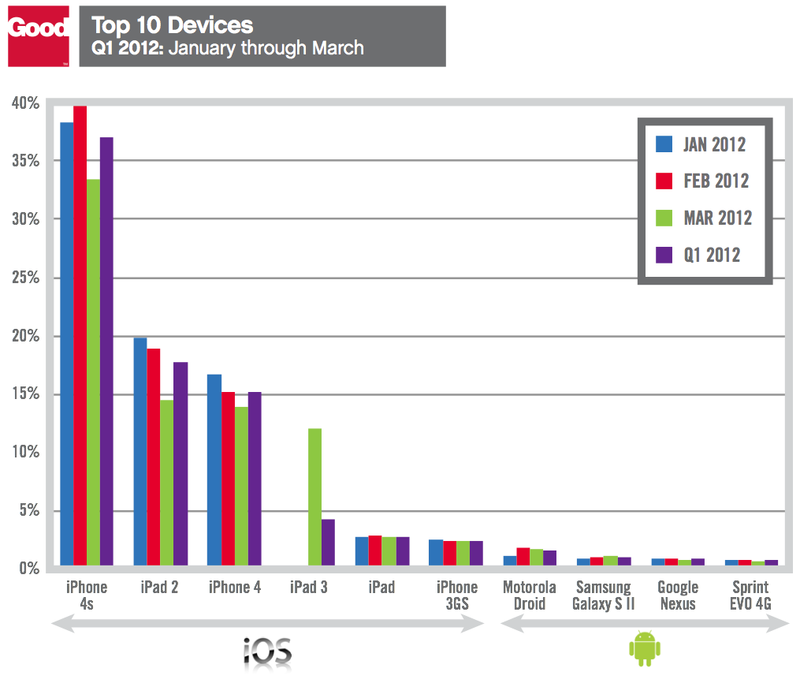 In total, iOS devices took six of the ten top slots in the enterprise league tables. Tim Cook also revealed in Apple’s last earnings call that the iPad was being deployed or tested by 94 percent of Fortune 500 companies, and Apple is clearly focused on maintaining this momentum with the roll-out of iOS 7 in the fall.